Fossil Group and BMW have confirmed their new watch range is set for this summer. Designers says the BMW summer watch collection has gathered inspiration from automotive design. Known for its racing heritage, the brand has aimed to show its commitment to performance and distinctive detailing to introduce watches that are versatile for everyday use. The Munich line contains the propeller logo which accents the dial while the case uses aerodynamic forms, modelled after the brand’s most recognisable sports. The BMW collection comes available in three-link stainless steel bracelets and premium leather straps. It has shaded dials which feature the brand’s blue or automobile-inspired colours of silver, red, black and cashmere. 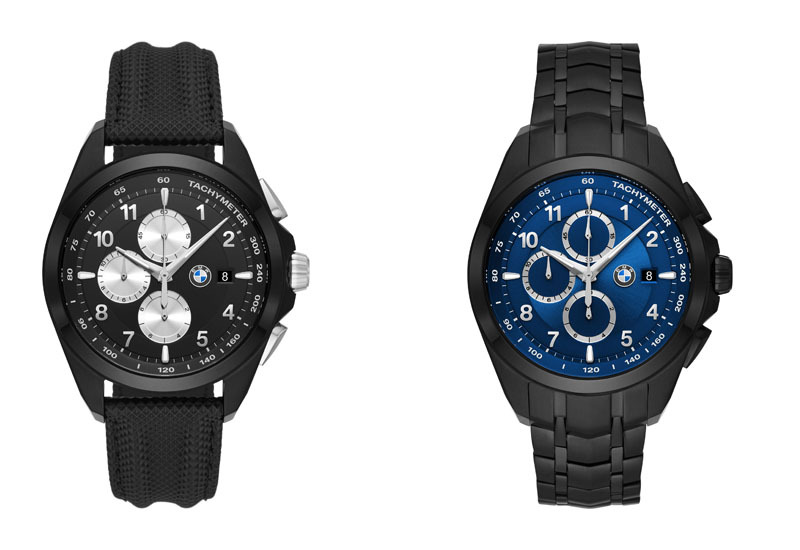 The final BMW M Collection is available with a stainless steel bracelet or silicone strap with tread detailing. It is a racing- style chronograph and features a knurled topring and the Motorsport stripes that aficionados will gear up for. The BMW summer 2019 watch collection will be available this summer. Prices are set to range from $191 to $496.